Those of us who came up during the 1960s were exposed to a rare experience, one that apparently does not come along that often. When the 1970s came over us, like the waters of Lethe, much of the essence of the Sixties was soon lost and forgotten. Of course, some of that substance and experience endured into the future (here we are! ), but, as mentioned, much more was lost perhaps forever, never to be remembered again. We don't even know what we lost. Old timers like me agree to forget what we find just too painful to remember, or do we? Imagine my surprise when I came across this album by James McCarty, the original drummer for the "Yardbirds," and the only member of the band to last through all of its incarnations. McCarty later appeared again in his group "Renaissance." He has not forgotten the 1960s. This album called "Out of the Dark" was released in 1994, and it speaks clearly of all that has been forgotten from the Sixties, perhaps it is the last rose of that generation. Like carrying water in his hands, James McCarty has somehow managed to reflect the spirit of the 1960s in this music, so that people like me can better remember again and those of you too young to know that time can at least have a taste. It is palpable to me in this album. There are few modern albums that reflect the real spirit of the music in the 1960s, such as the haunting effect of something like Procul Harum's "A Whiter Shade of Pale." This kind of experience is hard to find today. James McCarty has survived a long musical journey through the 1960s and beyond to the 1990s with his message quite intact. The whole album has an other-or-future-world feel and yet no fussiness. There is real clarity here. The title cut is remarkable. It may not be sharp (or cynical) enough for some or it may be too obviously nostalgic, but most of you were not there or, if so, not aware of what happened. Or perhaps you have already forgotten what I am pointing at here. I, fortunately, have those memories and this music revives them. Check it out. 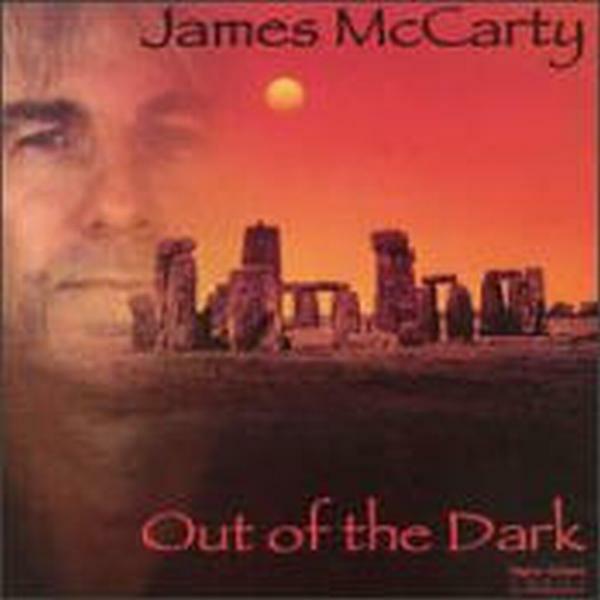 Album 1994, "Out of the Dark," by James McCarty. "Signs From an Age Gone By"
"What If Summer Never Came"
Oddly enough, the album "Out of the Dark" is still available on Amazon.com.